Spreading Holiday Cheer - And You Can Help! As a wonderful patient of ours at the Gorman Center, we want to let you know how we will be spreading the holiday cheer, and YOU CAN HELP! We thought long and hard about what we can do this holiday season to give back to the community. We have decided to collect and donate non-perishable food items and new unwrapped children’s toys for Ralph Reeder Food Shelf and Toys for Tots. We are very excited to help make a difference in the lives of others and spread holiday cheer both locally and nationally. You can help by dropping off items to our collection bin at our North Oaks office! 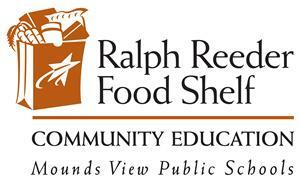 Ralph Reeder Food Shelf, a Community Education Program of the Mounds View Public School District, does such great work in the Minneapolis area. During 2016 individuals made over 18,000 visits to the food shelf and 454,551 pounds of food and personal care items were distributed. The food shelf is made available to low-income families and individuals living in this area and aims to provide each person with 5 to 7 days worth of food, personal hygiene, household cleaning, and additional items. Relying on the generous donations and time from volunteers from schools, churches, businesses, clubs, and individuals, Ralph Reeder Food Shelf hopes to provide emergency and supplemental food assistance to those in need. In addition, they strive to connect the families and individuals to other beneficial resources in a manner that respects their dignity and encourages them in the direction of self-sufficiency. This food shelf’s belief is that their “presence in our communities makes our neighborhoods and schools healthier and more stable.” The main goal is to work together in the community to assist those who share the common concern of hunger. Donations of non-perishable food items or a new unwrapped toy may be dropped by our office until December 22nd. Known throughout the nation, Toys for Tots is a program presented by the U.S. Marine Corps Reserve that collects new, unwrapped toys every year during the months of October, November, and December. These toys are then given as Christmas gifts to the less fortunate children in the community where the campaign takes place, in our case the Twin Cities. 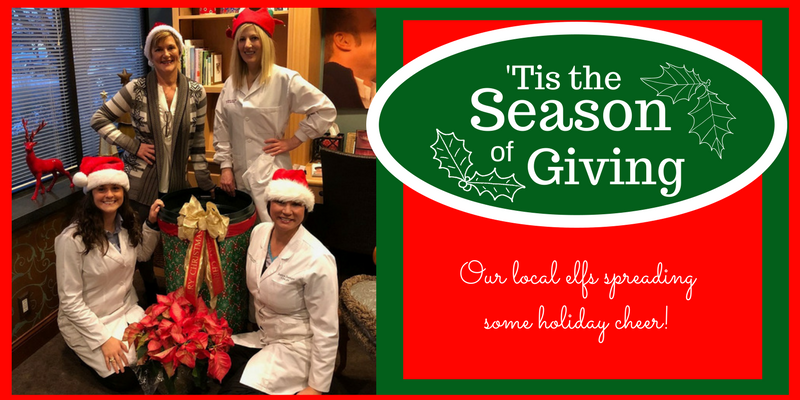 Toys for Tots works in a way that community members drop new, unwrapped toys into collection boxes in local businesses like the Gorman Center for Fine Dentistry. The toys are then picked up and sorted so that at Christmas the toys may be distributed to children of the area. Through these toys, the organization is offering a message of hope to children in order to help them become responsible, productive, and patriotic citizens of the United States. We agree with Toys for Tots in that our country’s most valuable resources are our children, and we must be active in helping them develop. It is wonderful to see the members of the community unite in a common effort and for a widespread cause. Annually over 700 communities in the United States, including the District of Columbia and Puerto Rico, conduct local Toys for Tots campaigns. The authorized fundraising and support organization for the Toys for Tots Program is the Marine Toys for Tots Foundation, which is an IRS recognized 501(c)(3) not-for-profit charity. Yes, the coordinators organize and manage the campaign, but the support from the community and the generosity people demonstrate garner the ultimate success. We are very excited to take part in the season of giving via the help of such incredible organizations. Remember to stop by the Gorman Center from now until December 22 to drop off a toy or non-perishable food item you wish to donate to our donation bin! We look forward to seeing you~ Merry Christmas!